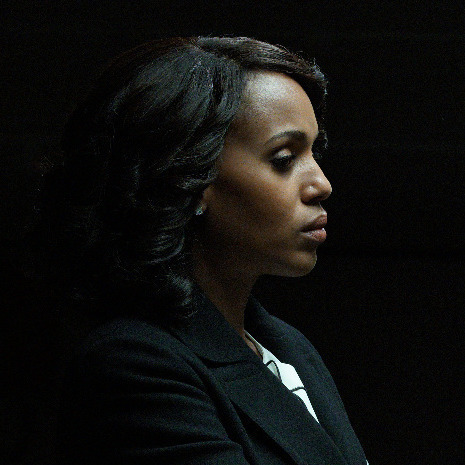 Scandal’s ratings dropped 34 percent this season. Almost every year since 2013, Vulture has published a chart illustrating the performance of veteran TV shows during the most recent season. We’ve labeled said charts “depressing” because they’ve consistently shown the vast majority of returning shows — whether they’ve been on the air for two years or two decades — losing ground in the key TV demographic of adults under 50. This season is no exception, and it’s arguably the most depressing year yet for those who follow network-TV trends. Last year, ten broadcast series were either up or flat versus the previous season. This season? Just one network series — ABC’s indestructible The Bachelor — has managed to increase its audience in the demo, with two others (CW’s Jane the Virgin and CBS’s Hawaii Five-O) remaining flat. Everything else on network TV got smaller. As noted, the fact that most network shows are down is not exactly news: Every chart we’ve done the past four years has shown the same thing. What’s new is just how rare not losing audience has become (there were more than a dozen flat or up shows in 2013) and how quickly the pace of the erosion picked up this season. This year, 27 returning series suffered what we’d define as serious decline — a ratings loss of 25 percent or larger. That’s up from 16 series with similarly significant declines last season. It’s a dramatic spike, to be sure, but also not all that shocking. While some viewers are no doubt abandoning network TV for better offerings on cable or streaming, audiences are also simply consuming TV in dramatically different ways than they did at the start of the decade. TV Ratings Are Way Down, But Does It Even Matter? We’ve been trained to understand that if we fall behind on several episodes of a show, we can always catch up later on streaming. Binge-watching an entire season is, for many, a better experience than watching week-to-week. The enormous sums Netflix and Hulu are paying to stream shows such as This Is Us underlines just how much value remains in network-TV fare. Sure, as measured by Nielsen, Empire is drawing half as many viewers as it did at its peak a couple years back. Some of those early adopters of the series have no doubt given up on the sudser altogether, but odds are many of those viewers are now simply watching in ways not captured by traditional metrics. (Another “encouraging” sign for the health of broadcast TV: Most big cable comedies and dramas are down, too — even the good ones.) None of this makes the double-digit declines shown below any less depressing for executives. Ratings declines result in fewer overall ad dollars, period. While networks are proving adept at opening up new revenue streams, they’d much rather their Nielsen numbers were going up. A show’s fate isn’t necessarily tied to how it did in the ratings. CBS’s Two Broke Girls and ABC’s Last Man Standing were far more stable than most other sitcoms at their respective networks. Despite this, both were canceled last week. Likewise, NBC’s Blindspot lost half its under-50 audience when it moved to Wednesdays this season; the Peacock picked it up for next year anyway. Numbers don’t lie, but in TV these days, they don’t always tell the whole story. Note: Our chart is based on Nielsen data comparing all available viewing data for the current television season (from late September through late April) versus similar data for the 2015–16 season. We used so-called “live plus seven” data for adult viewers between the ages of 18 and 49, which means this data includes a week’s worth of DVR replays and some (but not all!) viewing that takes place via Hulu and network-owned websites and apps. We counted only first-run episodes of scripted entertainment programs, as well as reality shows. We didn’t include newsmagazines, sports broadcasts, or video-clip shows such as AHF or Caught on Camera. Final Nielsen data for the season won’t be complete until early June, which means it’s possible a few shows now listed as being flat or down could end up in positive territory.